Office get-togethers shouldn’t be viewed as one-time events: In December, most firms celebrated the holidays with their employees with a big party. But these firms should remember to thank their employees throughout the year, as these small but critically important gestures go a long way toward building the culture in many organizations. Pledge to improve your communication process, with a commitment to having frequent and transparent communication going forward: Consider establishing a “Communication Promise,” a detailed communication protocol in which you and your leadership team commit to communicating to all employees. This protocol should outline a schedule of communications over the next year that will be cascaded down from the CEO to the first-line manager. Focus your efforts on building a learning culture: Although many training and development budgets have been cut and not returned, a key engagement driver is staff development. There is much that can be done to build cultures of learning without spending lots of money. Stretch assignments, mentorship opportunities, cross-sectional task teams, luncheon brown bags, etc, are all learning opportunities that have great impact and marginal direct dollar costs. Host a YouTube video contest linked to a business imperative: For little money (but huge engagement benefit), send out Flip cameras to every location and or department with a request for employees to pick a firms value and show “what that means to me.” Establish prizes (they don’t have to be extravagant, as employees will be motivated to participate just because the contest will be fun and they will want their departments to win!). Post your "winners” on the firms intranet, as well as on YouTube. To keep the social interaction levels high throughout the year in single-site firms or in standalone offices or businesses, have theme nights monthly: For example, January will be "Mexican Night Sponsored by Accounting—All Are Welcomed!" February will be "Italian Night sponsored by Procurement—All Are Welcomed!" etc. While these ideas may seem silly, they go a long way to bringing spirits up and making your employees happy…after all, employees who want to come to work are usually your most productive and motivated employees! Newton, MA – With competing day-to-day priorities and economic conditions that aren’t conducive to much long-term visibility, one would expect that a number of ownership plans are getting delayed or stretched out over long periods than originally anticipated. However, it seems that many A/E firm leaders are simply operating without this plan that is critical for long-term business health. The 2011 A/E Bonus & Benefits Survey from PSMJ Resources, Inc. shows that only 40% of surveyed firms have an internal ownership plan in-place. PSMJ’s survey revealed that the smallest firms (those with up to 20 employees) are the least likely to have an internal ownership transition plan. Only 21% of the respondents surveyed in this subset indicated that their firm has an internal ownership transition plan. The 2011 A/E Bonus & Benefits Survey will be available for delivery on March 14, 2011 and can be ordered by visiting www.psmj.com. Managing changes to your project team is always a challenge. But what do you do if, in the midst of a project, you either inherit the project, becoming the new PM, or the client changes project managers, essentially creating a new client for the project team? 1. The PM and principal (or client manager) meet with the client or new client PM to discuss the transition. 2. If you are the new PM, meet with your project team to discuss the transition, any immediate project issues or concerns, and plans for an interim kick-off meeting. 4. Prioritize tasks, actions, and resolution of outstanding issues and prepare a list of items to be completed before the next team meeting. Having completed a thorough review of the project status, the updated PMP and action-item list are your road map for continuing forward with the project. The four steps provide an opportunity to review project goals and expectations. They also provide an opportunity for the new PM and the entire project team to confirm mutual understanding and buy-in on the project. 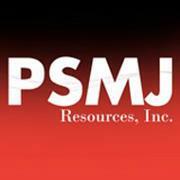 Let PSMJ take the guesswork out of running projects. With PSMJ’s Ultimate Project Management Manual, you can instantly and dramatically improve your ability to manage projects for quality, speed, and profitability. Click here to order, e-mail customerservice@psmj.com, or call PSMJ customer service at (800) 537-PSMJ. Everyone in your firm must bring in new work, not just A/E Marketing and Business Development professionals. 1. Learning to sell of professional services occurs on the job, not in the classroom. Learning those skill sets necessary for the seller of services doesn’t just happen by reading books and instruction manuals. It happens by getting out there in the field with a seasoned professional and watching and listening to clients. Jim, a civil engineer with five years’ experience, is at the stage of managing multiple tasks on projects. Like most engineering graduates, Jim has all the technical skill sets needed to handle his job, but has no experience in people skills. He is shy, but once you get to know him, he is a great guy and opens up to conversation quite well. The question: How to get Jim to move up to that next level—selling? The answer: HaveJim “ease” into selling by taking on more responsibility for those clients that he is already serving with his technical expertise. Give him a few key questions to ask that are not part of the current project—what comes after this project; who else in the industry needs a similar project done; what other activities are you involved in, etc. 3. Don’t send Jim (or Jane) out in the field to do “marketing” without experience. That is a high-stress method, and almost never works out for Jim or the client. Instead, ease your good technical staff into marketing through more and more frequent interaction with their existing clients and well-placed “open-ended” questions designed to get the client talking. Looking for a way to give ALL your firm members all the skills they need to bring in new work and persuade current clients to give you more…send them to PSMJ’s 2011 A/E/C Marketing Bootcamp: THE Program On How To Get And Keep Clients. This spring, PSMJ is providing 5 locations all across North America to give your whole firm the tools and confidence you need to succeed in bringing in more work for the firm. Click here for more information. With a new year comes new energy and, as such, January is often one of the busier months of the year for M&A announcements. However, according to data from the A/E M&A consultants at PSMJ Resources, Inc., 29 transactions were announced last month and that could be a positive indication of what is to come in 2011. One deal that took place last month was the acquisition of Jester Jones Schifer Architects (Marion, OH) by multi-disciplinary GPD Group (Akron, OH). This move allows GPD Group to continue to strengthen its footprint in the Ohio market and bring architecture capabilities to an even broader client base. Jester Jones Schifer has been providing architectural services for more than 30 years. “We are very pleased that Jester Jones Schifer Architects is now part of GPD Group. Their expertise and project management are well respected within the architectural community, we’re excited about our future together.” said David B. Granger, P.E., President of GPD Group. About GPD Group: With locations in Ohio, Georgia, Indiana, Arizona, and Washington, GPD Group specializes in providing engineering and architecture services for a wide range of clients. Markets that the company serves include community facilities, education, housing, parks and recreation, power distribution, public works, retail, commercial, site development, telecommunications, transportation, and wireless systems. Delegating is quickly becoming one of those overused management buzz words that PMs are tired of hearing. Why? For too long, principals have “dumped” on PMs in the name of delegation. PMs end up doing all the things that the principals don’t like to do. And, don’t stop there. Ask those under the PMs about how they feel about delegation. Same answer. And, why? They, too, are tired of just doing the things the PMs don’t like to do. So, stop delegating, and start leveraging. Okay, it may mean the same thing, but it sure sounds a lot better! Leveraging yourself has a synergistic effect. You can begin to accomplish more than singularly is possible. So, where should you begin? Start by understanding there is a difference between transactional activities and transformational activities. Management is transactional. It involves those important day-to-day activities. Leadership is transformational. It’s trying to create a different outcome, a new possibility. As a PM, you are responsible for both. However, PMs get so caught up in the transactional that they don’t spend enough time on the transformational. PMs need to get transactional activities off their plate. PMs need to leverage themselves out and get the transactional activities completed by someone else whom they oversee. Then, PMs can spend more time on transformational activities. As PMs begin to spend adequate time on the transformational, they will quickly see client relationships begin to flourish, the quality of their deliverables improve, and projects becoming more profitable. To learn more tips and techniques you can use to become a better and more successful project manager, come to one of PSMJ’s upcoming Project Management Bootcamps! PSMJ’s Project Management Bootcamp is a revolutionary training seminar like no other-- through interactive case-studies, real-world examples, and proven solutions, you will foster innovation, elevate communications, increase productivity, and improve your firm's bottom line. Click here to regiser or call PSMJ Education Department at (800) 537-7765.